Let me just say, you do NOT want to find yourself behind the crosshairs of this chick's antique telescope! 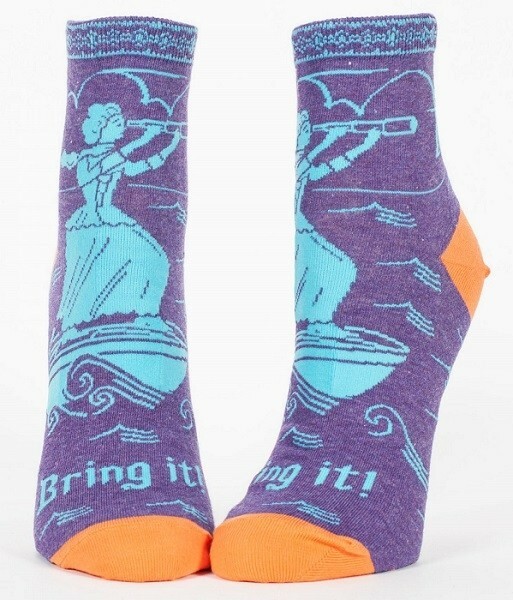 These fun socks from Blue Q feature an elegant design with the empowering declaration, "Bring it!" 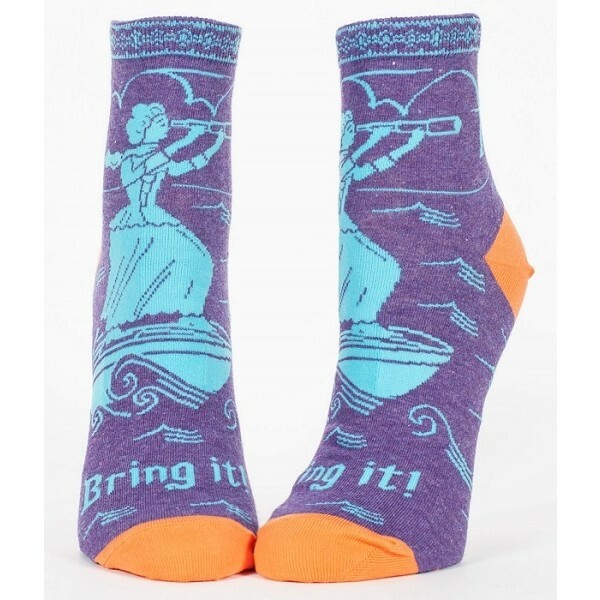 reminding everyone who wears them that she's ready to take on anything. These 53% combed cotton, 45% nylon and 2% spandex socks come in one size which fits most women's shoe sizes 5 - 10.